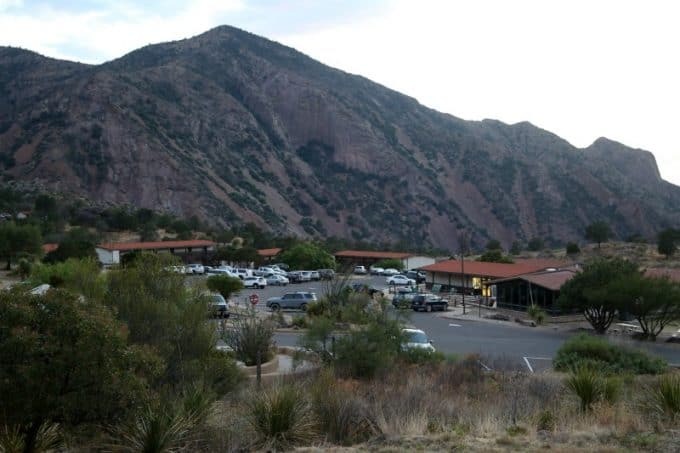 The Chisos Mountain Lodge Big Bend Lodging, operated by Forever Resorts, Inc., is located in the Chisos Basin at 5,400 feet elevation. Chisos Mountain Lodge is the only lodging in Big Bend National Park. If you are looking for a great hotel to stay in Big Bend than this is it! 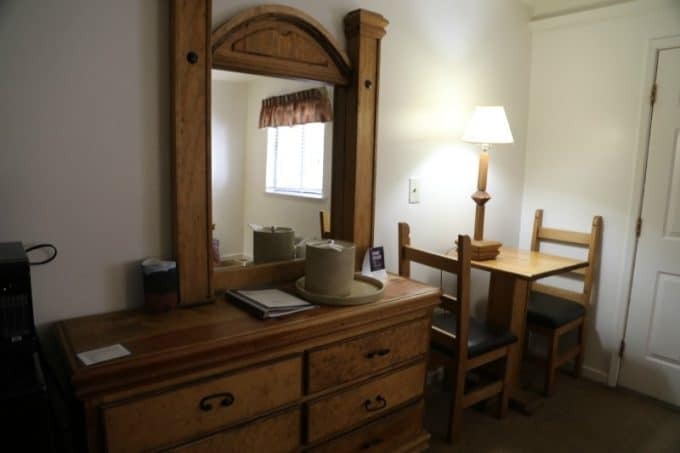 There are multiple types of rooms and cabins available for Big Bend Lodging. Some of them include air conditioning and others do not. Depending on the time of year you are visiting the park this is huge! We visited in mid-May and the temperatures ranged from 90+ to 106 depending on where we were in the park. In the mornings we started the day at around 60 degrees. We stayed in a Chisos Mountain Lodge Room with a king size bed during our visit to Big Bend NP. 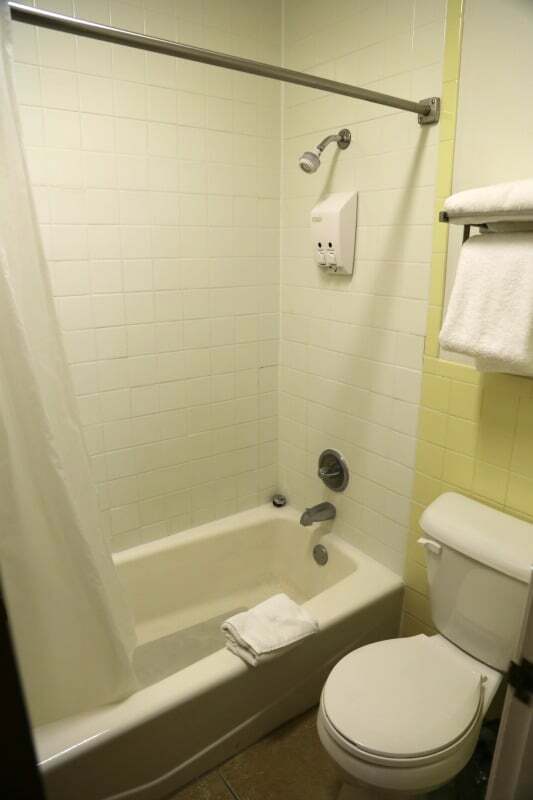 The room was located on the 2nd floor of the hotel and included the bed, small desk/table, refrigerator/freezer, microwave, small bathroom and a chair. The king size bed was quite firm!!! Be prepared if you are not a fan of sleeping on a firm bed. The room is basic but in an amazing spot in the park. 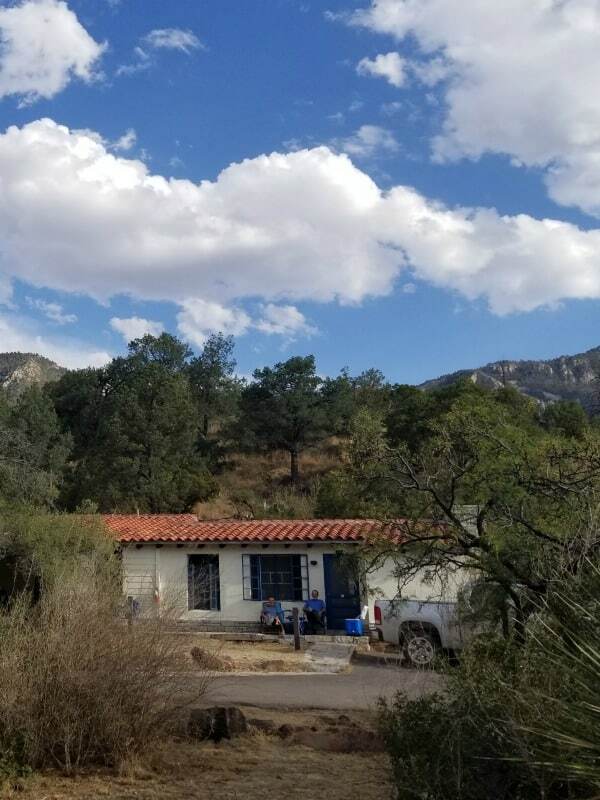 Located in the heart of the Chisos Mountains. We saw a Mexican Black Bear and Cub on our way to the lodge on our first night. The Chisos Mountain Lodge has air conditioning which is amazing when the park ranged from 90 to 106 degrees during our visit in mid-May. One thing to know is that you should ALWAYS keep your key in your pocket at all times! If you go out the front door or on the balcony and close the door you are locked out. You have to have the key to get back in. My wife found this out at 5:30 am when she walked out the front door to look at the sunrise over the mountains. As she describes it she became very friendly with the local bats and bugs before the sun came up and the songbirds started arriving. It took her 90 minutes to wake me up from hibernating and realize that she was stuck outside. You can imagine how excited she was to be outside on the front porch in her pajamas, a sweater, and no shoes. Yep, I won husband of the year that morning. 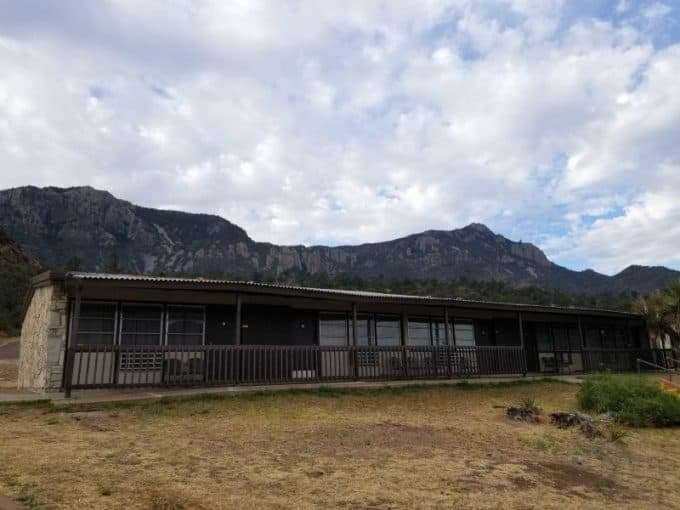 The Rio Grande Motel Rooms are part of an older building at the Chisos Mountain Lodge. There are 20 rooms in the Rio Grande Motel portion of the lodge. The rooms have a shared balcony that runs along the entrance to the rooms. 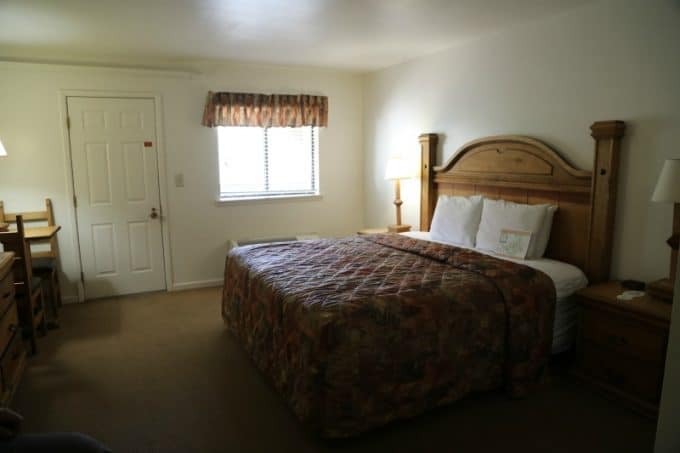 The Rio Grande Motel Rooms feature two double beds. The Roosevelt Stone Cottages were built in 1941 by the Civilian Conservation Corp, CCC along with the Lost Mine Trail. The cabins at Big Bend are located above the Chisos Mountain Lodge and do not include air conditioning. 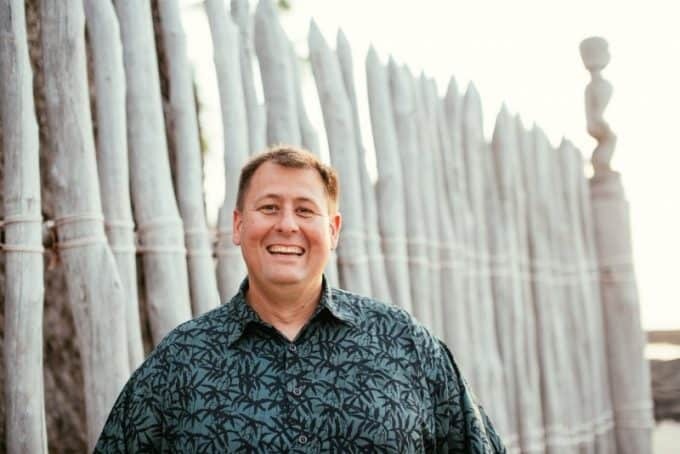 The cabins can be reserved by cabin number to pick a specific cabin. Pets are allowed in a few of the cabins. A ceiling fan, NO air conditioning! The cottages have a maximum capacity of 7 people with a rollaway. 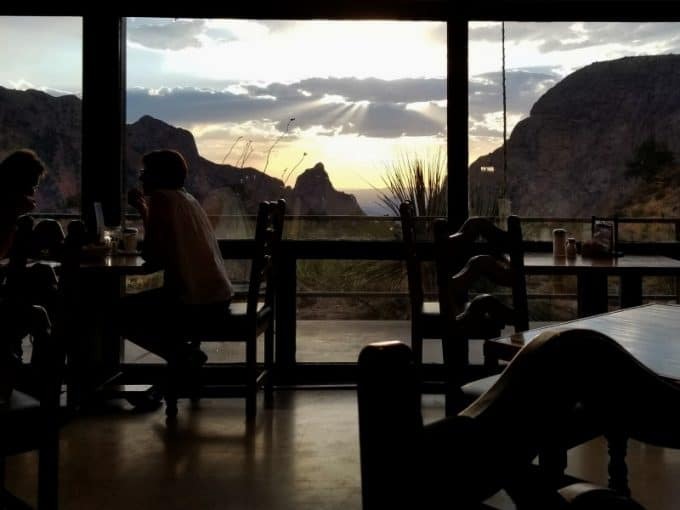 The Chisos Mountain Lodge Restaurant is open for Breakfast, Lunch, and Dinner at set times. Make sure you are aware of the times for each meal so you don’t miss out. 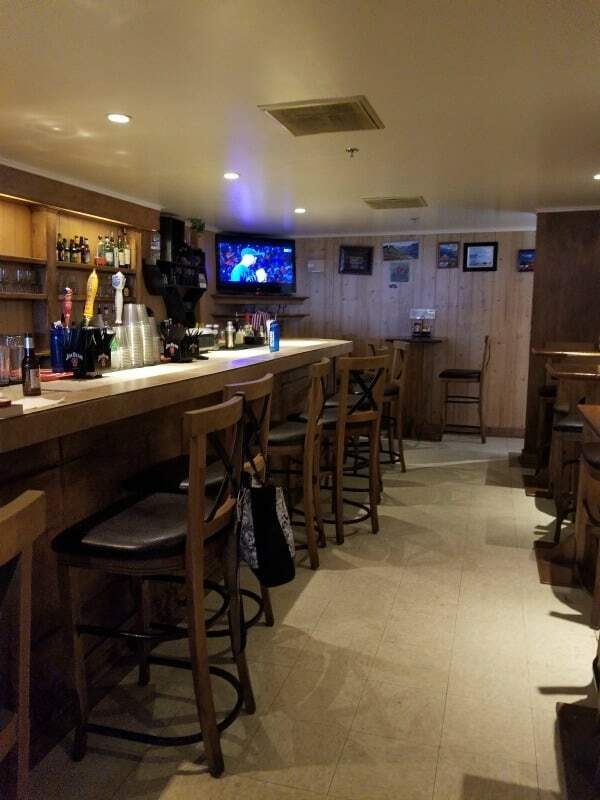 There is also a bar next to the restaurant that offers cocktails and beer. The deck outside the Chisos Mountain Lodge Restaurant is the perfect place to enjoy the sunset. The bar can make a cocktail for you in a plastic cup that you can enjoy while watching the sun go down. Get there early to grab a chair and table because this spot is super popular for sunset. 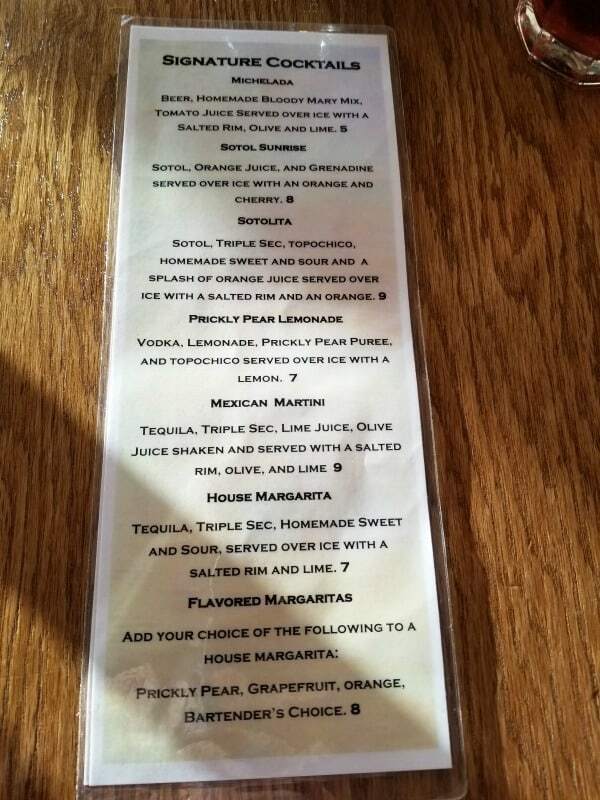 For breakfast, you have your choice of ala carte or the breakfast buffet. 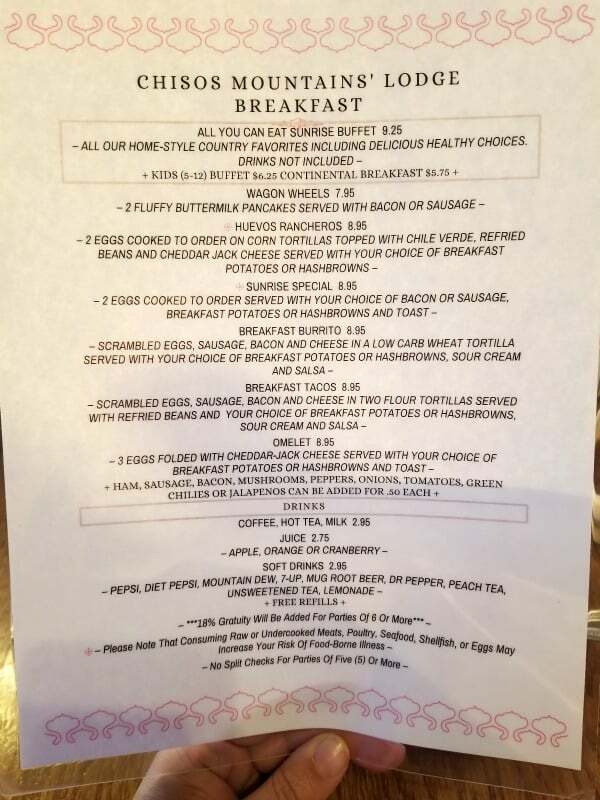 The breakfast buffet included biscuits and gravy, french toast, multiple fruit options, oatmeal and bacon/sausage. It was the most popular breakfast choice while we were at the lodge. The breakfast burrito was fantastic and is huge! Super filling and tasted amazing. The pancakes were a bit bland and definitely needed syrup and butter to add to the flavor. 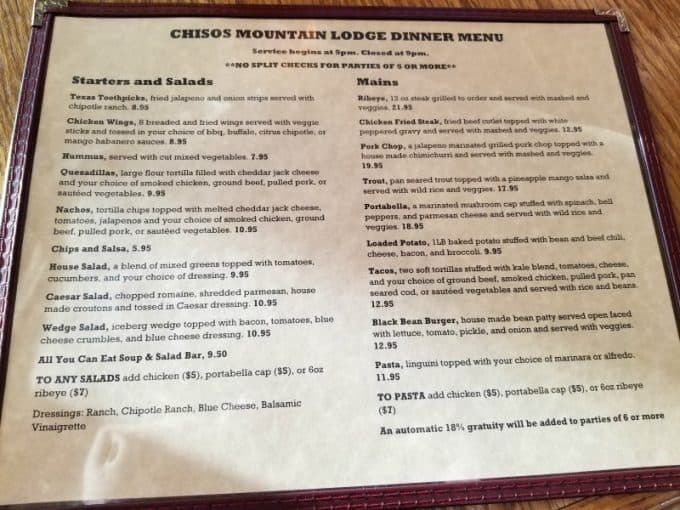 We did not enjoy lunch at the Chisos Mountain Restaurant but love that you can pre-order lunch to take with you while hiking. There is a choice of sandwiches or wraps. Make sure and order them the day before you would like them. For dinner, the menu includes everything from a burger to pasta. The pasta was quite good and is served in a large bowl. The sauce is a bit bland but tasty after a day in the park. For dessert do not miss the Emery’s Peak sundae! 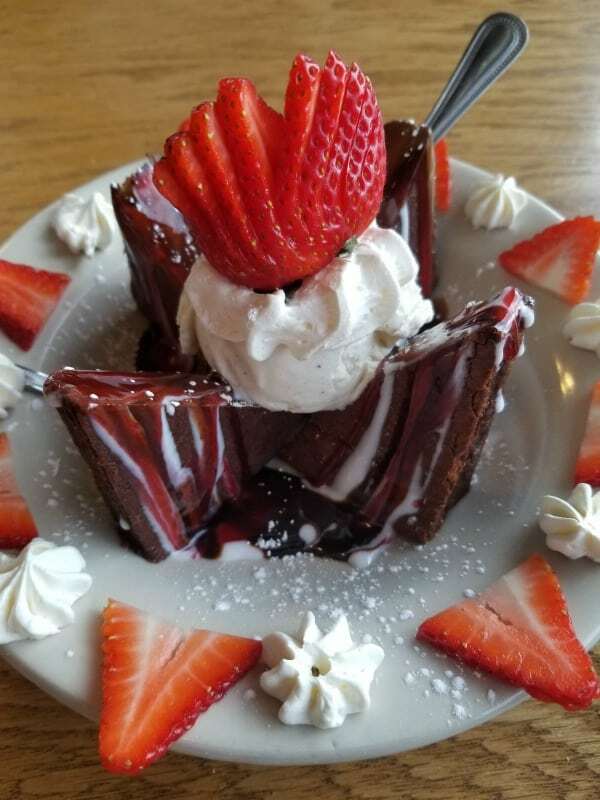 This sundae includes 4 pieces of brownie, vanilla ice cream and a cherry and chocolate drizzle over the top. The sundae will easily serve multiple people! Wi-Fi is available on the balcony and in the restaurant. It can get quite slow at night when everyone is trying to log onto it. 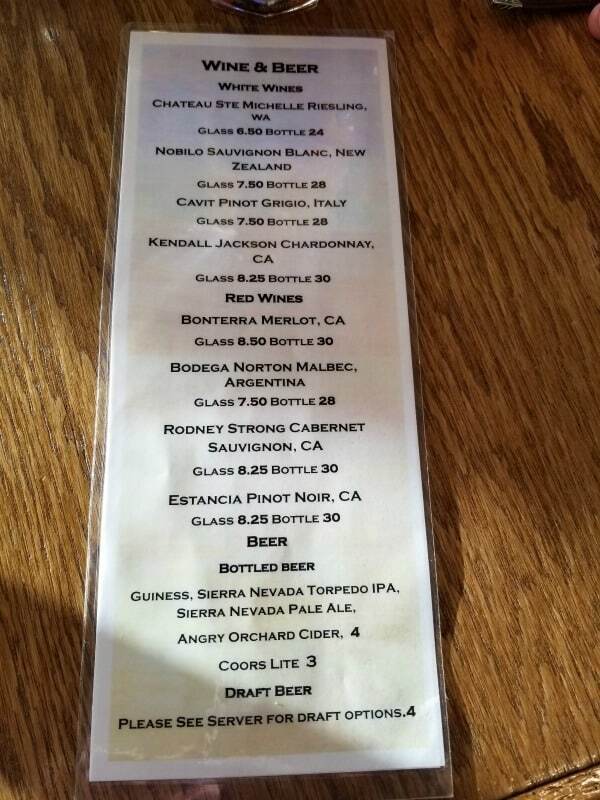 The store near the lodge has quite a few snacks, bottles of wine, beer and extra toiletries you may have forgotten. There is a small visitor center near the lodge. You can pick up park brochures, Junior Ranger programs, and there is a small bookstore. Multiple hikes into Big Bend NP leave from the lower parking lot. Check with reception for a map and information on each of these hikes. There is quite a bit of parking near each of the lodge rooms. Many of the rooms do have stairs to access them. If you have mobility difficulties make sure and ask about the rooms and which room you should try to reserve. There is no phone or wi-fi in the rooms. There are no televisions in the rooms. 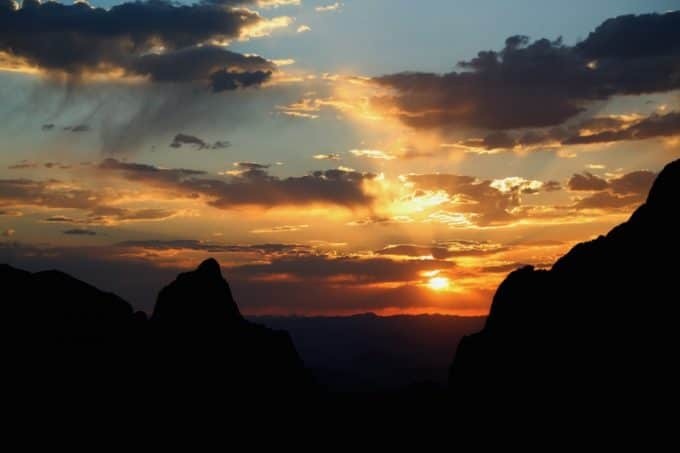 Chisos Mountain Lodge Reservations – Reservations can be made via the lodge website or over the phone. Make sure and know what type of room you are interested in and the dates you are looking for.